Within the conflictual geography of Israel-Palestine, infrastructure plays an important role and is often used as a pretext for a further shrinking and fragmentation of the occupied territories of Palestine. One extreme case is the village of Battir, today part of the West Bank. While the village’s strategic location—in the valley stretching between Jaffa and Jerusalem—initially afforded connection to the greater territory, its position subsequently attracted the Green Line, causing gradual disconnection. After several surveys for the possible route were made, the valley where Battir lies was chosen for as the corridor to connect the coastal flatlands to the central highlands where Jerusalem is located. Initially built to support religious tourism, the railway gave the village and others along the route a considerable degree of mobility. Although passenger service on the former Jaffa-Jerusalem line restarted after the 1948 war, the Battir station remained closed. The 1949 Armistice Agreement gave Israel full control over the railway, which it sought to secure. In order then to create a wide security corridor along the railway, Israel negotiated the shifting of the Green Line from the actual ceasefire line, pushing it into Battir land. Coming to the agreement that the village inhabitants would protect passing trains, Israel in return allowed the farmers of Battir to cultivate their land on the Israeli side of the Green Line. The construction of the Israeli Wall is planned to follow the railway, posing a serious threat to the inhabitants of Battir who would lose more of their lands as a result. However, the Wall could paradoxically follow an alternative path: rather than following the railway, adhering instead to the legal contours of the village lands, the Wall would undermine the very separation it is designed to create. 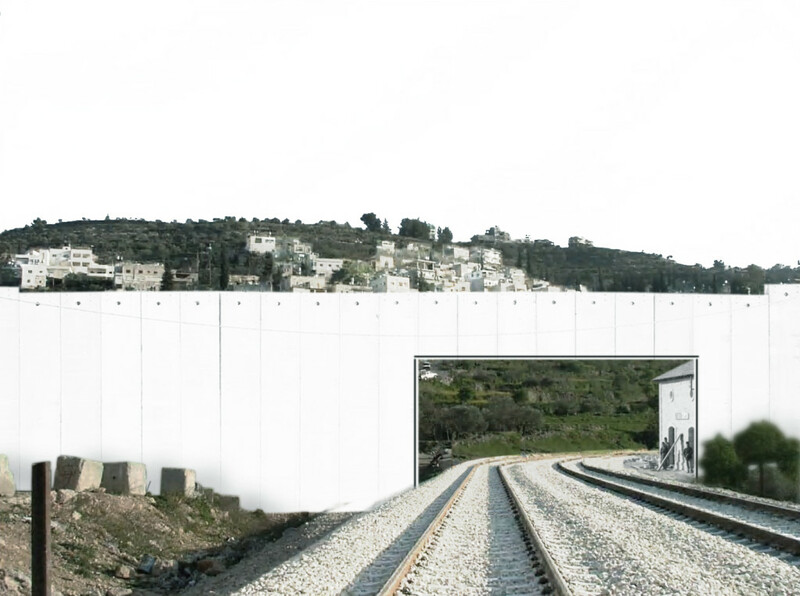 In this alternative configuration, the border line between Israel and the West Bank would intersect with the railway, paradoxically interweaving the territory and making explicit the unequal connectivity.